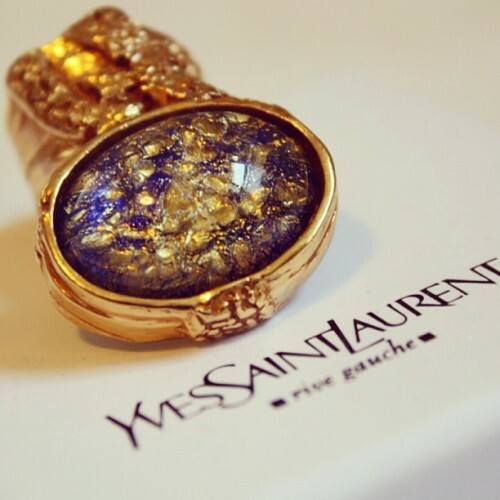 My ring came in a Saks box but without a YSL box, so I will be contacting Saks about that, because I like having corresponding boxes for everything. 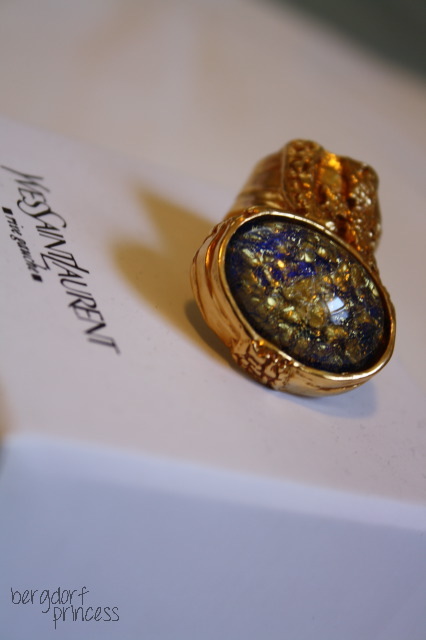 Here is the gorgeous ring! I believe it's simply called the 'navy' arty. You can buy this exact Arty from Net-A-Porter. Buy an Arty before they're all sold! Follow back my blog please? Omg! why would do that!!! 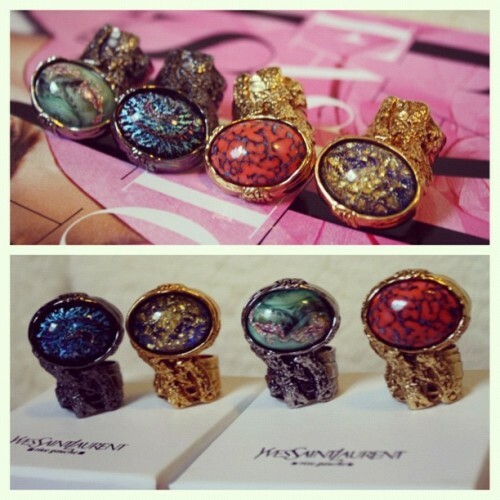 love the arty rings!!! bye the way i am a big fan of your blog-tumblr-instagram!!! that is the most stunning Arty ever! So sad that they will be discontinuing making them, I wonder why? Do you know? I do think the blue-gold one is my favorite out of all of them. Loving you blog! I just bought two of them...thank god!! I'm loving it so much!!! Skulls have been an element of design in jewelry for hundreds of years. It has been used to symbolize courage and victory. In many cultures, men represent strength and power. I noticed that you have the rings in both size 7 and 8. I want to buy a pair online as I can find none in stores where I live, but I'm a little anxious about what size to get. Saks and Net-a-porter both give different indicators for the sizes. Could you measure your finger for me and let me know? I'd be eternally grateful. My finger circumference is 56mm, but I have no idea what that means in terms of this ring. I have a fashion blog. I just started. Can you give me some tips.